New York, NY -- Big Gates/Slip-N-Slide/Atlantic recording artist Plies has officially announced the upcoming release of his debut album, "THE REAL TESTAMENT." The eagerly awaited collection - which features the breakthrough hit single, "Shawty (Feat. T-Pain)" - will drop into stores nationwide on August 7th. "I got the most anticipated situation in the streets right now," says Plies. "The streets told me that." Hailed as "one of the realest you will ever know," Plies has already established a phenomenal underground and street presence on the strength of his infamous mixtapes and live show. For his major label debut, the Ft. Myers, Florida-bred rapper relays tales of street struggle, making money, and ghetto queens - what Plies refers to as "reality music." Plies will return to Florida, Georgia, and the Carolinas during the week of his album release, where he&apos;ll complete a whirlwind promo tour of over 10 cities in just four days, including Ft. Myers, Orlando, Tampa, Miami, Jacksonville, Savannah, Charlotte, and Columbia. "I&apos;ve been in the music business for a minute now," says Slip-N-Slide CEO Ted Lucas. 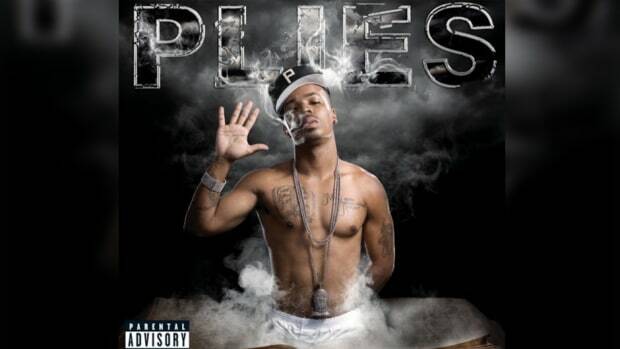 "I&apos;m confident that Plies has the potential to be one of the game&apos;s top players. The success of &apos;Shawty&apos; is only the beginning. Plies represents a new energy in hip-hop." "Shawty (Feat. T-Pain)" is without doubt one of the summer&apos;s biggest hip-hop smashes, currently standing at #5 on Billboard&apos;s "Hot Rap Tracks" chart, as well as at #7 on the "Hot R&B/Hip-Hop Songs" tally. The track has also scored last week&apos;s most increased plays at Urban radio outlets nationwide, while being the #1 airplay gainer at Urban radio outlets for three consecutive weeks. The ringtone for "Shawty" is ranked at #4 this week, according to Billboard&apos;s "Hot RingMasters," selling more than 500,000 ringtones to date. Plies will unveil his second single, "Hypnotized" featuring Akon, in mid-August. What&apos;s more, the "Shawty" companion video has proven an instant sensation, making a top 10 debut on BET&apos;s 106 & Park countdown earlier this month, and rising to #4. Next week will see Plies heralding the release of "THE REAL TESTAMENT" with a performance on BET&apos;s 106 & Park. Plies will also perform on MTV&apos;s TRL the week of August 13th. MTV has named Plies as a "Discover & Download" artist, where "Shawty" is currently in "Big 10" rotation. The video also debuted at #1 on Music Choice last week as the most "demanded" music video. Online, Plies is blowing up at MySpace, where he is currently ranked as one of the top 15 "Major" artists. His page - located at myspace.com/plies - is among the site&apos;s most popular, with assorted tracks logging over 10 million streams thus far. Plies will be featured in a wide variety of national publications, including the covers of the August issue of Ozone magazine and the September/October issue of Down magazine. In addition, he was recently nominated in three categories at the 2nd Annual Ozone Magazine Awards, part of the upcoming 2007 TJ&apos;s DJ&apos;s Tastemaker DJ/Music Conference in Miami. "Shawty" was included on the "Best Rap/R&B Collaboration" shortlist, with Plies getting further nods for "Mixtape Monster Award" and "Most Slept-On Artist."
. For nearly a month, contestants were able to register online and submit a verse to Plies&apos; song, "Ain&apos;t Slippin&apos;," produced by DJ Nasty. The winner will be revealed August 7th, and his/her name will be featured inside the album, exclusively at Best Buy.